Hippocrates said “Let food be thy medicine and medicine be thy food.” Unfortunately, in today’s Western food as medicine is a forgotten idea. We have divorced our food and our medicine. We go to the doctor for medicine and the table (often the restaurant) for our food. While, unlike some food cultures (such as that of India) we don’t use too many medicinal spices in our food, we do still have healing aspects in our day to day fare. This sometimes comes in the form of vitamins and minerals, but surprisingly, even some of our most overlooked vegetables can be used as medicine if needed. Summer is almost here and many of us will be heading out to the farmer’s market for fresh vegetables to keep our families healthy and well-fed. In honor of this, I thought I would devote today’s piece to the healing aspects of the common grocery and farmer’s market produce we might bring home. Rich in vitamins A and C, magnesium, iron, calcium, and potassium. It is antioxidant, antibacterial, anti-inflammatory and is helpful for upset stomach, acid reflux, IBS, and arthritis. You may like these ideas on How to Use Fresh Basil. Kale MUST be steamed before eaten to protect against a buildup of oxalic acid in your system. (Read more about why raw greens may not be as healthy as some think.) This vegetable is antioxidant, antiviral, and antibacterial. It is very helpful for eye health, blood oxygenation, immune support, and bone strength. Kale contains vitamins A, K, C, B6, B2, B3, B1, E, fiber, manganese, copper, calcium, potassium, magnesium, iron, Omega-3 fatty acids, folic acid, and phosphorus. Dill weed is not just for pickles! This herb is important for settling digestive upsets and leveling out blood sugar. It is anti-septic and disinfectant while being anti-spasmodic and sedative. It is rich in folic acid, riboflavin, niacin, Vitamin A, B-carotene, and Vitamin C. It is also a good source of copper, potassium, calcium, manganese, iron, and magnesium. High in Vitamin C and potassium, fennel is a strong anti-inflammatory and has possible anti-cancer benefits. Move this herb from the side of your plate to the center – with three times the Vitamin C of oranges and two times the iron of spinach it is a powerhouse! Also an excellent source of Vitamin K, A, and folic acid. It is an aid to the heart, an anti-oxidant, and has potential anti-cancer benefits. Read more about The Benefits of Parsley. Think GENTLE DETOX! Cucumber is naturally diuretic, mildly laxative, detoxifying, and helpful in weight loss. It is soothing for skin disorders externally. This fruit is high in Vitamin E, phosphorus, potassium, and natural fats. Check out 6 Uses for Cucumbers and a Cucumber Toner Recipe. Stimulates a healthy appetite, benefits the bloodstream, is helpful in the case of piles, and is a mild laxative. As a diuretic it is especially beneficial for disorders of the urinary tract. It is one of the richest sources of iron and calcium of all the common vegetables. The leaves have more nutrition than the root, but the root is healthiest eaten raw. This juicy fruit is anti-inflammatory and helpful for asthma, heart health, diabetes, and arthritis. It is a rich source of vitamins A and C and contains a high concentration of antioxidants. Watermelon is really great for urinary tract and kidney health. See some delicious watermelon recipes here. 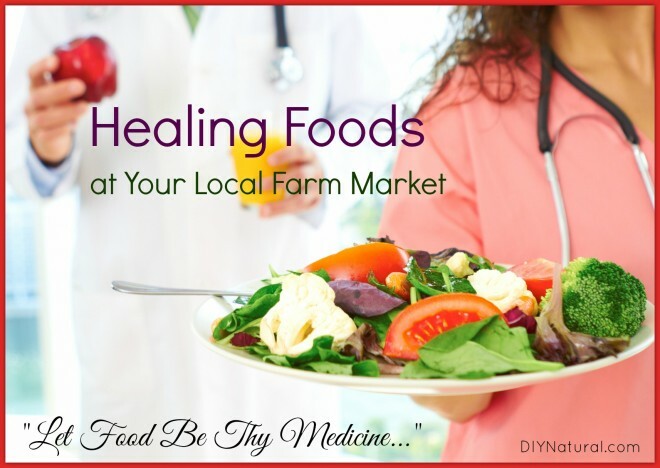 Are you looking for these foods at your local farmer’s market? If so, how are you using them in your diet? We grow and eat most of the foods listed in our gardens, but not fennel bulb. Do you have any recipes for that, or how to fix it?